An artisanal bakery. Because we bake our breads and sweets in small batches with the utmost care, everything we sell is fresh and delicious. We use the best ingredients, including locally-sourced fruit, and always bake from scratch. LiLLiPiES is an artisanal bakery located in Princeton, NJ. We are thrilled to be opening our first retail bakery and cafe SOON at the Princeton Shopping Center at 301 North Harrison Street! Because we bake our breads and sweets in small batches with the utmost care, everything we sell is fresh and delicious. We use the best ingredients, including locally-sourced fruit, and always bake from scratch. Our breads are high-hydration sourdough and are fermented anywhere from 12-36 hours at a low temperature, yielding a complex and satisfying flavor. 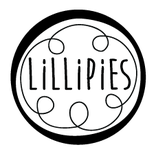 LiLLiPiES was founded by Jen Carson, a culinary school chef-instructor and baker. Jen is a graduate of Bucknell University, (home of the Bison Cafe: Jen's very first culinary job) and The French Culinary Institute, (now called The International Culinary Center). Born and raised in New Jersey, Jen is incredibly proud of the farmers and producers of our great state.